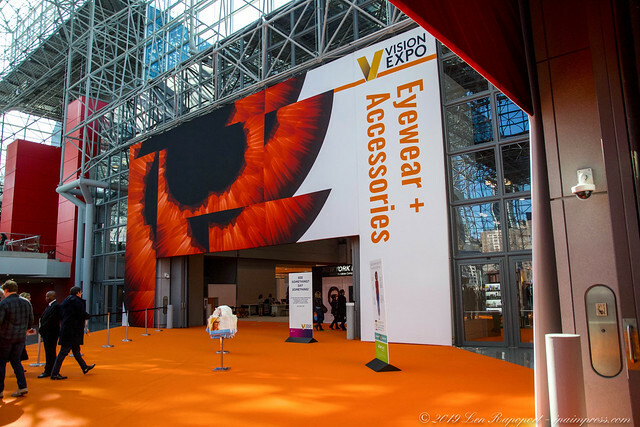 The Vision Expo is one of our favorite trade shows. It is a massive show featuring the latest in eyewear and the latest innovations in technology. We had the opportunity to shoot our photos and video clips with an iPhone 8+. The reason I mention this is because, for the past 10 years, we would bring tons of gear to cover a hows like this one. Heavy duty tripod with fluid head for smooth pans. A Nikon DSLR camera with external flash, three lenses, a wide angle, telephoto and close-up lens. Sound gear that included a RODE Reporter mic and a Beachtek Audio adapter. Of course there was much more including the equipment bags and wheels for the tripod so we could roll through the exhibit floor. For the past few months, we have been testing new techniques in covering and shooting these show reviews. First, we tried bringing both pro gear plus the iPhone and this show we decided to shoot everything with the iPhone. As you can see from the video clips and images, there is very little difference from our last few years covering this show to this year’s show. This was an amazing trade show for those in the eye care and wear industry. Of course, the big guns always put on a great show with their hottest styles in fashion eyewear. There simply isn’t enough time in a full day to visit all of the displays, so we picked a few that we thought went the extra mile to showcase their products and reward the attendees that waited on long lines for a monogrammed Champion sweatshirt, or maybe wait on line for a really cool Tote that they customized by adding little patches. Each year the manufacturers go out of their way to introduce the latest and hottest new styles in their frames and this year was no exception. Walking the floor of the show we see thousands of frames from all the leaders like Lexotica, Marcolin, Oakley, Michael Kors, Ray-Ban, Maui Jim, Safilo and so many more. Luxotica came up with a high tech way to have their retail customers try on their glasses by picking one of many styles available, taking a snap of a QR code for the glasses they are interested in. Once done they take a selfie of their face and the glassed magically appear on their face. You can turn your head either way and the glasses look as if you are wearing them.Try on as many as you like using your phone. Unlike anything I have ever seen…it was amazing and you will see it in our video. What will they think of next? 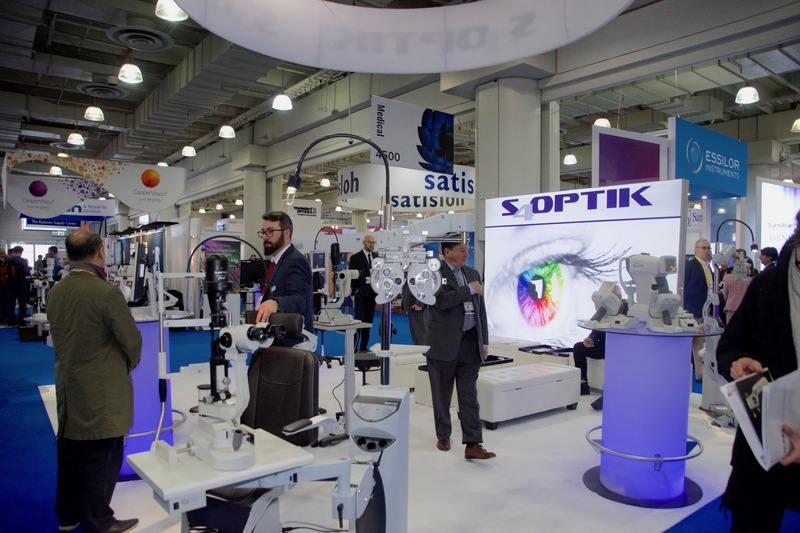 On the lower level of the Javits Center is the Opticon Show. 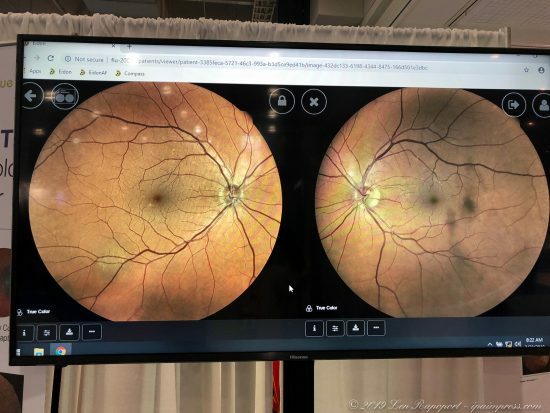 This show partners with the Vision Expo and eyecare professionals and doctors travel to see the latest in techniques, equipment, and medication. We love to visit this part of the show because I can get my retina scan done without going to my eye doctor and it is fast. You will see me in the video as the scanner will first scan one eye, then move over to scan the second eye and it is all done in a couple of minutes. You can see the images of my retina and see that I have those black floaters. 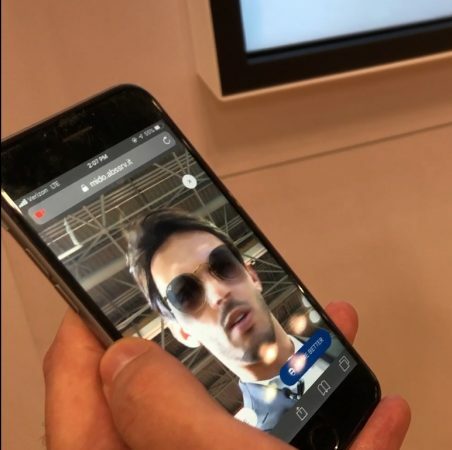 This is amazing technology. No longer will a patient have to endure eye drops to open up the eye and have the doctor shine a bright light into your eye so he can view your retina. With this technology you get the image and can better determine any issues. 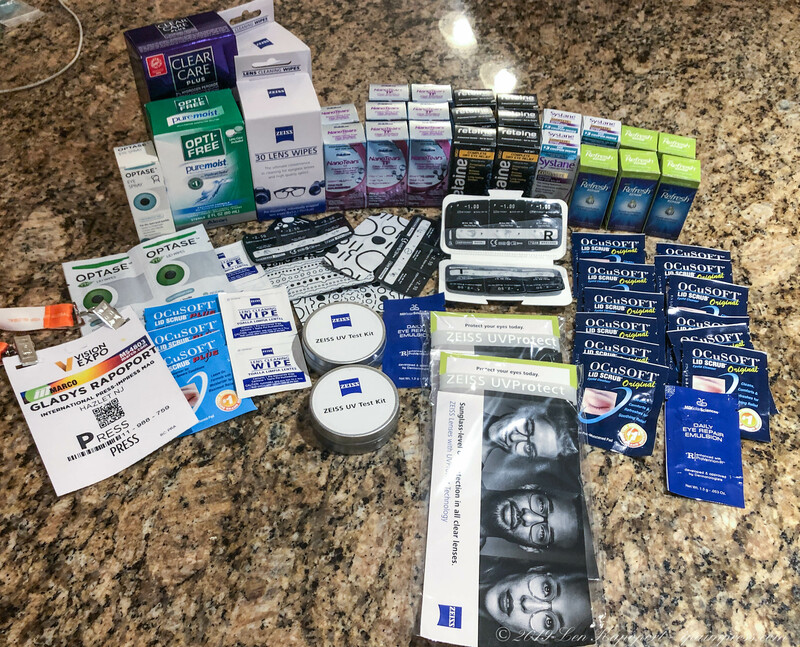 Since I suffer with dry eyes, I love getting the free samples of wetting solutions and other eye care products including pills you take twice a day to prevent dry eye. 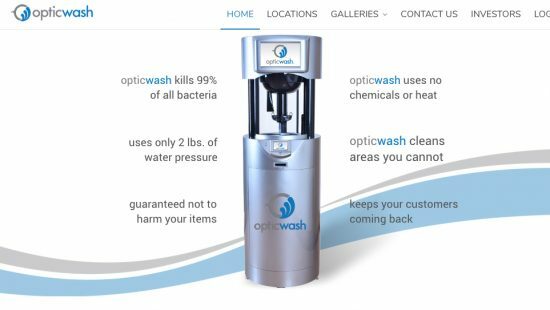 One of the stand out items we love each time we go to the show is the eyeglass cleaning unit in the main lobby of the center. It is a self-contained unit made by Opticwash a Florida based manufacturer. You can see a demo in our video. So cool, it will wash your glasses, jewelry, and even your water resistant phone. These are set up at airports and other high traffic locations and for $2 you can have your items cleaned better than any hand cleaning you might do.